WASHINGTON — David Blair is still weighing his options. But, in an interview with WTOP, Blair said his campaign is still considering whether to petition for a recount. 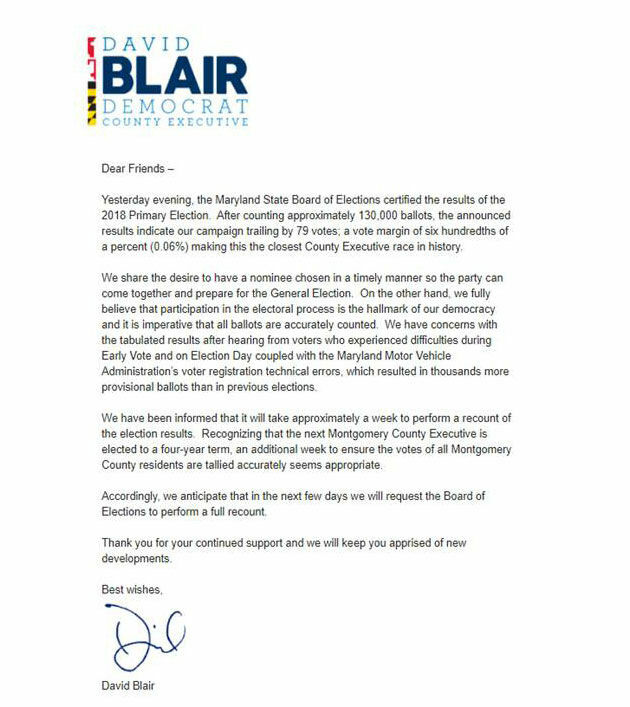 After the vote was certified by the Montgomery County Board of Elections on Monday night, Blair trailed Montgomery County Council member Marc Elrich by 79 votes. That doesn’t give him the narrow margin to ask for a recount without having to pay for it. Under state law, the difference would have to come to 0.1 percent of the votes cast. So, the decision on petitioning for a recount remains up in the air. For now. Blair said he remains concerned about the possible impact from the computer coding error at the Motor Vehicle Administration that meant thousands of voters across the state had to vote on provisional ballots. 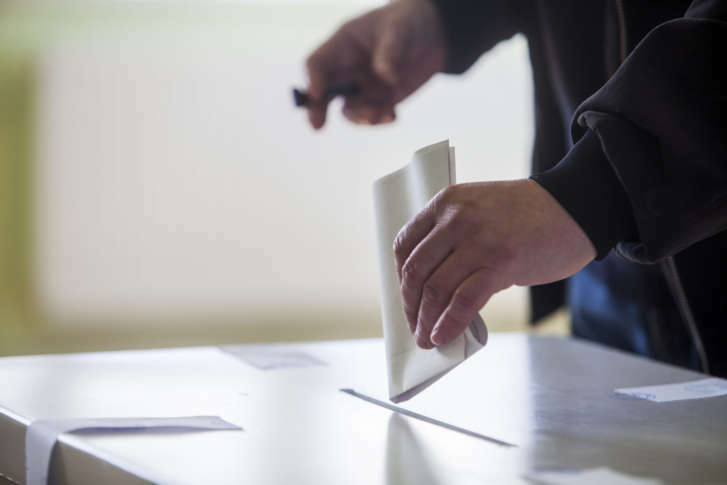 Blair said his campaign has heard from several voters who say their votes were thrown out during the canvass process at the county elections board. “I think they’ve done a remarkable job under a lot of pressure,” Blair said, regarding the canvassing taking place at the Montgomery County board. Blair said he’s been leaning toward asking for a recount, but continues to wait to see what his team turns up in analyzing the results.